I love TV. People who say that TV is a waste of time and rots your mind are straight up tripping, because TV is 100% educational, always. I attribute my success in the advertising world to the AMC show Mad Men. I know I aced a biology paper on autoimmune disease thanks to a very intense episode of the show House. And a wealth of my awkward body questions have been answered in Keeping Up With the Kardashians. So. TV is a resource. Whether you’re struggling to understand a psychological dilemma, going through a psychological dilemma, going through a physiological dilemma, trying to connect with teenaged angst, going through financial crisis… This could go on… Let’s just say you’re facing crisis in some manner. Lifetime is the network for you. Dedicating even 2 hours to any lifetime show will save you thousands of dollars in therapy, will give you clarity on the magnitude of your personal crisis, and will most often leave you feeling that actually, you don’t have it so bad. I know you think that’s a long and extravagant list, but that’s just one Lifetime flick. 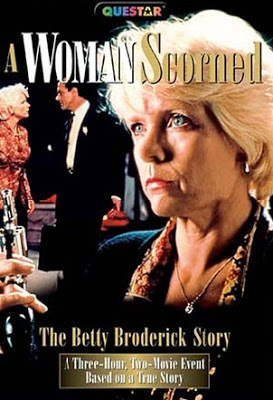 If you’re new to Lifetime, or if you’ve been putting off starting your personal Lifetime journey (I’m looking at you Brett Andrews, CPA), may I recommend you using “A Woman Scorned: the Betty Broderick Story” as your staring point. ← THINGS I GUESS I KNOW // No 16: GIRL POWER IS REAL. UNLESS IT’S DATE NIGHT.